News - STX Europe orders ShaftDesigner - Machine Support B.V.
STX Europe has purchased Machine Supportâ€™s ShaftDesigner software for the STX Finland yards in Turku and Rauma. This order is the result of an extensive technical and commercial investigation. The yard bought alignment and vibration calculations analyses from other contracting parties, but decided that they want to do these calculations internally. In ShaftDesigner the investigators found a modern and sophisticated software that is capable of calculating shaft line alignment as well as all types of vibration. The software also take into account the entire shaft line and components. Limitations present within other software were not found in ShaftDesigner. Also the new Ice Impact feature from the Torsional Vibration module is very interesting for STX. 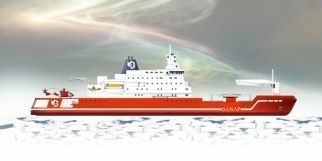 They will use it for calculations for a Polar Supply and Research Vessel which is now under design and is planned for delivery in 2012. Besides all technical capabilities and advantages of ShaftDesigner it was also the most economic option for STX. They decided to order a network license version that allows to share licenses between the Rauma and Turku yard which needed a even smaller investment. Training is also included in the order from STX. The team that will make the calculations will get a training in Finland to be able to use the software efficiently and to be able to properly analyse the results. In a second training session the ShaftDesigner Reverse Engineering module can be handled. A part of this training will be given on board to show how to take measurements and to insert the data in ShaftDesigner to be able to compare the theory with the actual situation on board. This order is an extension of the existing cooperation between the global present STX Business Group companies and Machine Support. STX companies in Brazil, Korea, Norway, Romania and Vietnam are using Machine Supportâ€™s VibraconÂ® adjustable steel chocks. These chocks can save time during the alignment and mounting of any type of rotating equipment. Machine Support delivers complete VibraconÂ® mounting kits that, besides VibraconÂ® chocks, include a complete set of high quality components which allow accurate and fast installation of propulsion units and auxiliary equipment. 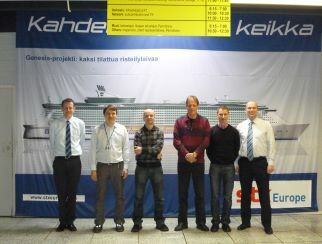 The Turku Shipyard is one of the biggest and most modern shipyards in Europe, building post-panama size cruise vessels. The Rauma Shipyard is part of STX Europeâ€™s Cruise & Ferries business area and is the worldâ€™s leading ferry builder, also specialized in small cruise ships, multipurpose icebreakers and naval craft. STX Europe has built 14 of the largest cruise ships in the world. 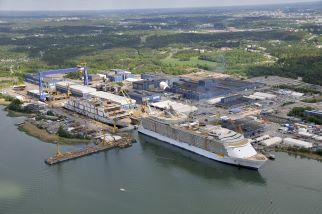 Finlandâ€™s biggest export products, the worldâ€™s biggest and most innovative vessels Oasis of the Seas and Allure of the Seas were delivered from Turku Shipyard in the end of the years 2009 and 2010. Please take a look on the ShaftDesigner website for more information.